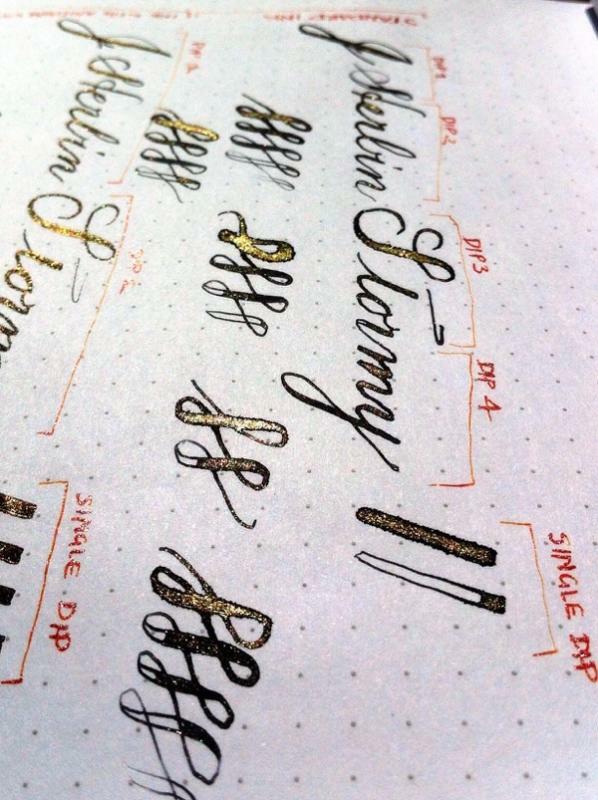 I used a dip nib with Stormy Grey this morning for the first time. Its a very very wet ink! 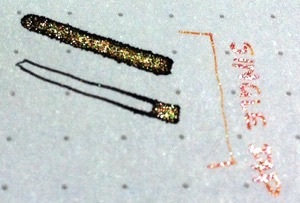 It also feathered on Rhodia as a result. 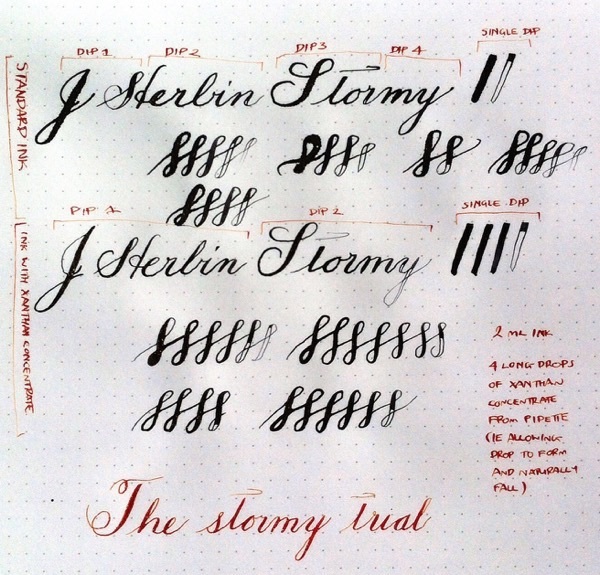 I trialled the Experiment 6 concentrate in J Herbin Stormy Grey. Here are the results. Pics of vial bases are just 1 min after shaking. In cases of direct comparison, the first pic is Stormy Grey a la naturel, the second pic is Stormy Grey x Xanthan concentrate blend. 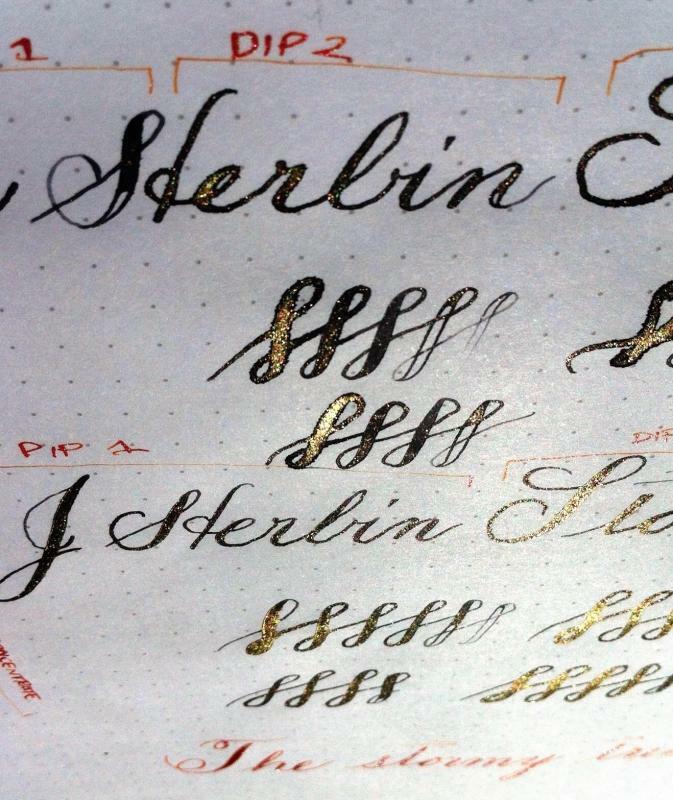 The Xanthan blend feathers less and offers far better gold distribution (where ink naturally pools from writing strokes, so does the gold, but it doesn't gold-dump like the original ink). 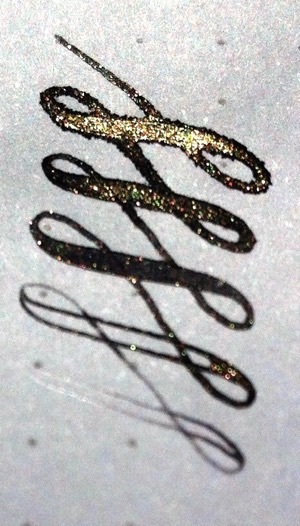 Due to the viscosity change, you also get more letters out of one dip. Disclaimer: only use in a pen that can be fully dismantled for cleaning, and don't leave the blend in the pen unless you are ok with dry starts the next day or anything that might go wrong. Use at your own risk. Details of where the xanthan experiments are up to are in the linked thread. Dehydration tests beyond 57 hours haven't yet been done. Edited by Intellidepth, 15 February 2015 - 23:57. 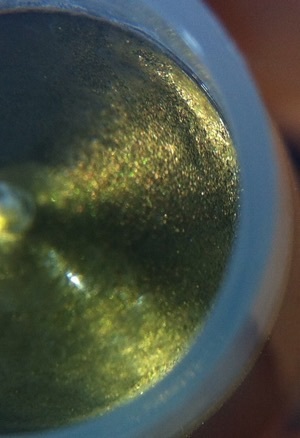 Couple of other pics from further away showing the gold performance. 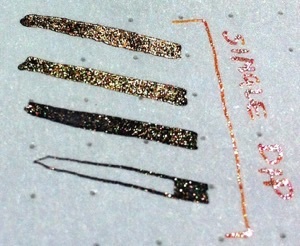 Please refer to the first pic on the post above to figure out which ink is which. Very cool. You seem to be making good progress in your inksperiments.